Hiring an Experienced Jacksonville Divorce Lawyer is Worth Every Penny. Let’s face it, people make costly mistakes when trying to find the right lawyer. Are you in need of a Jacksonville Divorce Lawyer? Have you been arrested? Have you or a loved one been injured? When going through a legal matter, most feel vulnerable and devastated, so you want a professional and respected lawyer to stand by your side and give you the best legal advice possible. Finding an experienced and knowledgeable attorney will mean that all of your needs are met so that you can find peace of mind through a difficult process. 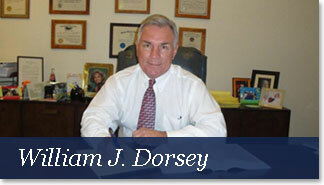 The Best Jacksonville Divorce Lawyers are NOT Free. The Dorsey Law Firm is committed to providing aggressive and expert representation for our clients to achieve the absolute best outcome. Our goal is to provide expert representation at all times while keeping our clients involved in their case. The Dorsey Law Firm is built on honesty, trustworthiness and forthright representation using our 35 years of experience in order to obtain the most favorable results for our clients. It’s Easy to Contact Our Jacksonville Law Offices. To request your in-person consultation at our Jacksonville Law Office, please call us today at (904) 346-3883 or complete the “Need an Attorney?” form. The Dorsey Law Firm has represented clients for divorce, family law, criminal defense and personal injury in front of nearly every judge in Duval, Clay, St. Johns, and Nassau Counties, and has tried cases throughout the entire State of Florida.